A new showroom has sprung up on Soi 102 for MY Style – a contemporary condominium project by developer and owner Hua Hin Supsiri Property Co, Ltd. This is the company’s second project in Hua Hin, the first being The 88 Condo. The company got its start in Hat Yai, south of Hua Hin. 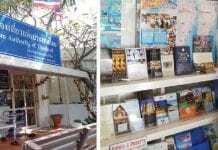 They are now investing in Hua Hin due to continuing growth and popularity. With the high-speed train coming, the new ferry service rolling out, and plans to expand Hua Hin airport, they feel the region will continue to grow. The sales launch event was well attended with local real estate agents and clients eager to get their foot in the door of this new project due for completion in 2019. The showroom, which is located across the street from where the actual condominium will be built, showcases a typical studio unit, a one-bedroom design, and a twobedroom layout. Set on three rai, MY Style is comprised of two buildings, eight floors each, for a total of 215 units. The condos are being sold freehold, and will have parking for 59 cars. In the centre of the buildings will be a U-shaped pool. 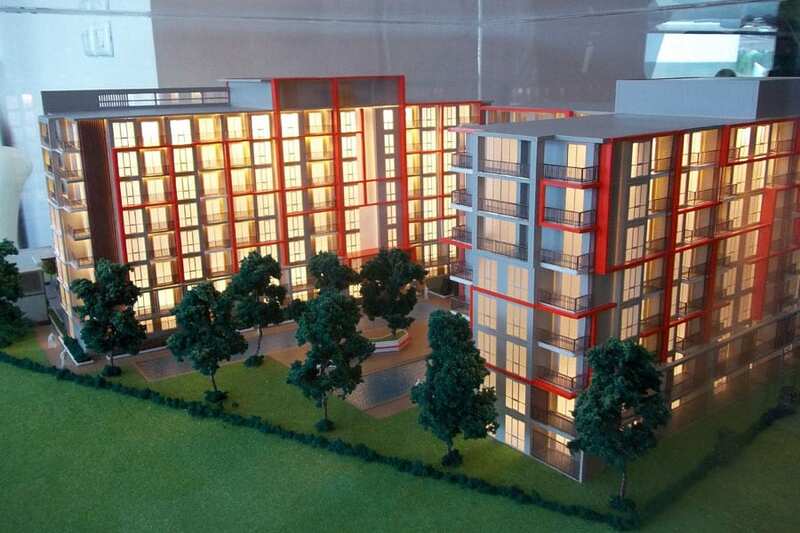 There will also be a fitness centre, a kid’s pool, a restaurant, and an open garden area. The project will have 24-hour security, and keypad-operated entrances and exits, as well as closed circuit TV monitoring. Studio sizes are between 25.5 and 30 square metres, and are priced between 1.29 and 1.58 million THB. One bedroom units vary in size between 33 and 58.5 square metres, and are priced between 1.69 and 2.99 million THB. The two bedroom options are between 59.5 and 126 square metres, and are priced between 3.03 and 7.25 million THB. Terms of payment include a 10,000 THB booking fee, with 100,000 THB due at the contract signing (within 7 days), followed by 24 monthly payments that vary depending on the unit price. The balance is due the day the deed is transferred. Other fees apply and are explained at time of purchase. More information can be found on their well-designed and user-friendly website which shows every unit floor plan in 2D, and some in 3D. www.mystylehuahin.com The company is also planning to build a 100-room hotel on Soi 94. The exact location and the project name are yet to be revealed. Previous articleIs It OK To Use Unfinished Cosmetics ?